Samsung's next-generation Galaxy S6 smartphones, which include giant leaps in style, design, components and features from earlier models, have finally arrived after months of rumors about how Samsung would fight off Apple's latest iPhone 6 devices. 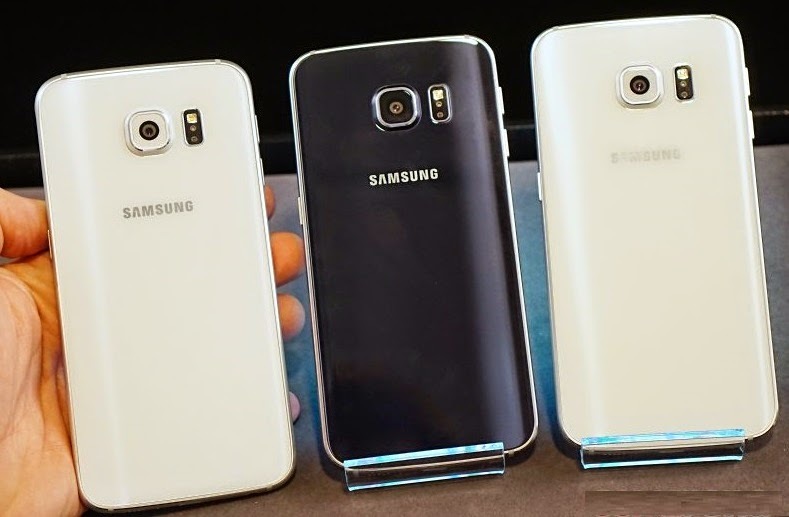 The new Galaxy models, a standard Galaxy S6 and a much flashier and more sculptured Galaxy S6 Edge that features a bright display which wraps around both sides of the handset, were unveiled at Mobile World Congress 2015 in Barcelona, Spain, on March 1 during a special "Samsung Galaxy Unpacked" event a day before MWC opens officially. Our first impressions, after seeing and handling the new Galaxy models up close at a special press preview briefing in New York City last week, is that these Galaxy smartphones appear to hit the mark when it comes to taking on the iPhone 6 and the iPhone 6 Plus around the world. The improvements in the new S6 smartphones over the previous Galaxy S5 model are many, from a chassis made of aircraft-grade aluminum to a higher resolution 5.1-inch, quad HD Super AMOLED display (2,560-by-1,440 resolution for the S6 versus 1,920-by-1,080 for the S5) that has about 80 percent more pixels (577 pixels per inch) than the S5. Corning Gorilla Glass 4 is used on both the front display and rear panel of the phones. Both new Galaxy S6 models also include Samsung's latest 14nm technology, 64- bit Exynos 7 processors, which have eight cores and use less power while providing higher performance than previous chips made with 20nm manufacturing processes. Full specifications and clock speeds for the new processors were not available at press time. Android 5.0 Lollipop is running on both devices. Both the Galaxy S6 and the Galaxy S6 Edge also include new LPDDR4 flash RAM and nonexpandable UFS 2.0 flash storage that will be available in three capacities—32GB, 64GB and 128GB. The new S6 phones differ from the old S5 and previous versions by omitting micro SD memory card slots due to space constraints as the new devices are thinner. Like the previous Galaxy S5, the new S6 models offer a 16-megapixel rear camera, but the latest versions add Smart Optical Image Stabilization (OIS), a 1.9 f lens and automatic real-time High Dynamic Range (HDR) processing for improved picture quality in low light and other conditions, according to Samsung. The 5MP front camera of the new Galaxies is also improved, with a 1.9 f lens, HDR, new white balance detection for improved images and other improvements that let users get better "selfies" when using the camera. Fast-tracking auto-focus is also now featured on the new S6 models. Faster access to the cameras is also a benefit of the new S6 models thanks to a new "fast launch" feature that lets users capture a photograph as quickly as hitting the home button twice. The new Galaxy versions are always on camera standby mode, making faster use of the cameras possible at the spur of the moment. That's a far cry from the previous Galaxy S4 and S5 models. Improved and faster charging, as well as wireless charging capabilities, is also built into the newest Galaxy S6 phones, with a fast charging mode that allows users to charge the battery to 50 percent in just 20 minute using a corded charger. The wireless charging system works with WPC or PMA wireless charging systems and can provide a 50 percent device charge in about 30 minutes. 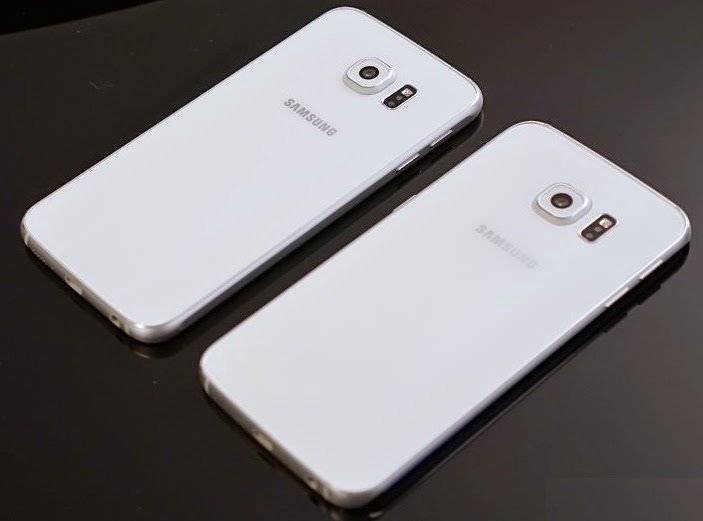 The Galaxy S6 includes a 2,550mAh nonremovable battery, while the S6 Edge includes a 2,600mAh nonremovable battery. Audio quality is also improved over the earlier S5 model, with a speaker that provides sound that is up to 1.5 times louder than the previous-generation audio system in the older devices. Both smartphone models support 4G Long Term Evolution (LTE) networks and will support future LTE networks as they are adopted by mobile carriers, according to Samsung. 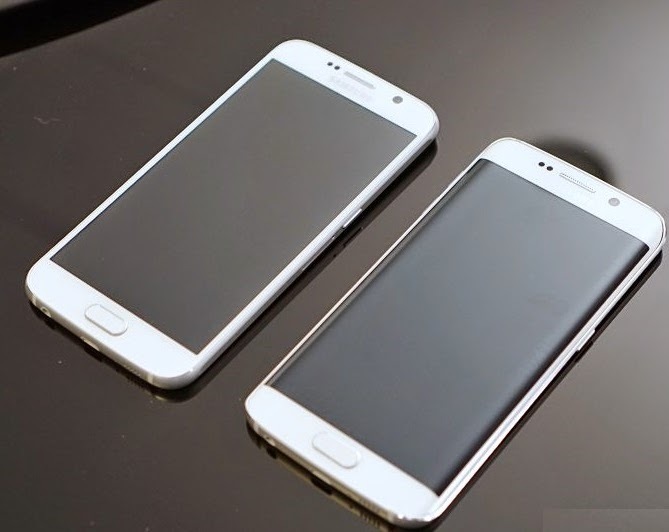 The S6 measures 5.64 inches in length, 2.77 inches in width and 0.26 inches in thickness, while the S6 Edge measures 5.59 inches by 2.75 inches by 0.27 inches. 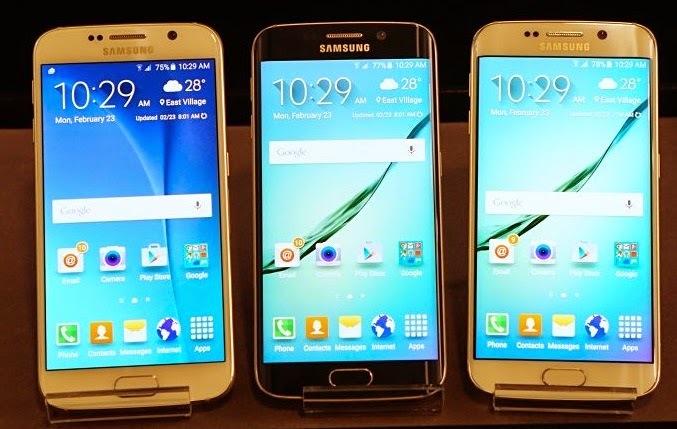 The S6 weighs 4.86 ounces, while the S6 Edge weighs 4.65 ounces. 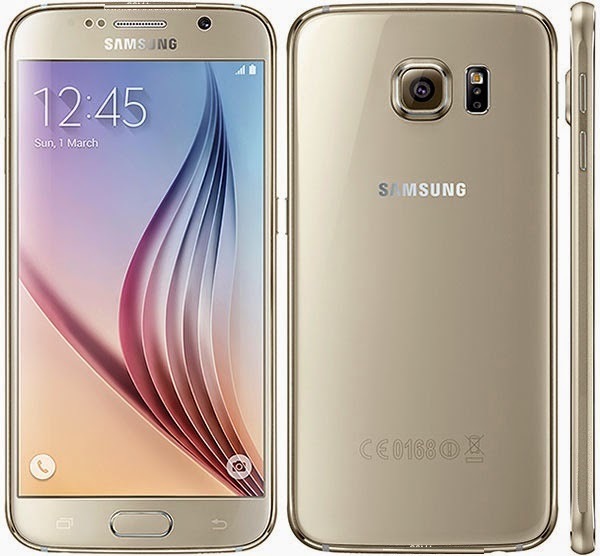 The S6 will be available in Black Sapphire, Gold Platinum, Blue Topaz and White Pearl, while the S6 Edge will be available in Black Sapphire, White Pearl, Gold Platinum and Green Emerald. The faceplate and backplate colors are actually created through the use of thin colored foil-like materials that are positioned on the backside of the glass on the front and rear of each phone. Both smartphones are equipped with Samsung KNOX and upgraded Find My Mobile security features that help users keep their work and personal content separate on their devices. An integrated mobile payments system will be included in both phone versions in the future, but it is not ready at launch, according to Samsung. The system will include support for near-field communication (NFC) wireless payments and Magnetic Secure Transmission transactions as used in today's magnetic card swiping systems for credit cards, according to Samsung. The user interfaces in the S6 models have also been improved and simplified as product designers worked closely with the user interface team to refine and streamline the phones, according to the company. Function menus were reduced by some 40 percent. Hong Yeo, a Samsung senior product designer based in Seoul, told us that developing the S6 models, which had been code-named Project Zero, has been the most exciting design project his team has ever worked on. "Everyone involved got together to really come out with a complete package," said Yeo. "We took a step back and listened to what customers were saying and what they wanted to communicate" about features they wanted to see. "We wanted to create a device with a lot of warmth and character. Both models represent a new design era for Samsung. It's something we've been working on for years." Creating the thinner, more futuristic and more stylish S6 devices shaved 1mm in thickness and 2mm in width from the previous S5 smartphones, according to Yeo. "In our world, that's a massive difference." The design team was free to use any materials for the phones, as long as the materials met the design standards for the project, he said. A key highlight of the project became the use of glass and metal in the new devices. "It's not just any glass," said Yeo. "We added a reflective structure under the glass to capture light. It's an emotional form wrapped around a different product that the world d has never seen before." The new S6 phones will ship in the second quarter of 2015. Pricing information has not yet been released. The previous Galaxy S5 version was released in April 2014.